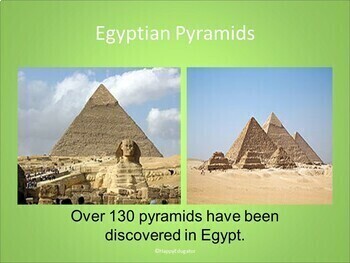 All About Africa PowerPoint. 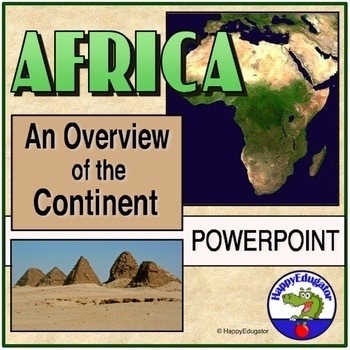 An overview of the continent, complete with animations, interesting facts, photographs from different countries and regions in Africa, and important information about climate, geography, people, social issues, and politics. 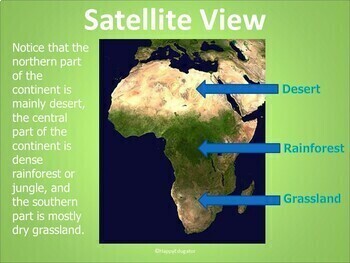 Discusses the climatic zones and ecosystems of each of the U.N. regions of Africa at length...from the pyramids and deserts of North Africa, to the Sahel and desertification of West Africa, to the savannas and mountains of East Africa, the jungles of central Africa, and the semi-arid mountains of South Africa. Also, covers other important issues, a few for example...poverty, life-expectancy, kwashiorkor, and the abolishment of apartheid in South Africa. 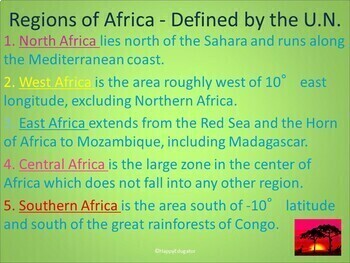 You can use this in sections as you study each region of this great continent. 56 slides.